Decorative window coverings from Polar Shades in Henderson, NV provide numerous benefits beyond the obvious one of complementing a home’s interior and exterior décor. 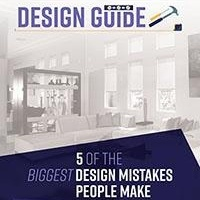 The unrelenting sunshine and blistering hot summers can make it difficult for homeowners to create a comfortable interior environment. Extreme heat forces home air conditioning to work overtime, which means utility costs soar right along with the temperature outdoors. Ultraviolet rays have the potential to damage floor coverings and furniture upholstery leading to the need for premature replacement. 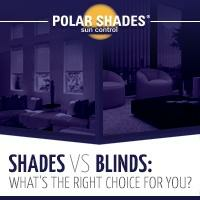 Polar Shades provides solutions to these problems with an extensive line of window covering options. Sun control fabrics reduce solar heat gain levels making it easier to maintain a comfortable interior temperature while saving on energy costs. 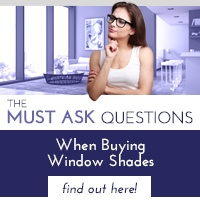 When selecting interior window shades, homeowners should weigh the need to increase energy efficiency against the desire to maintain unobstructed views of the outdoors. Lighter color fabrics provide greater energy efficiency than dark color fabrics because they reflect sunlight and limit the amount of heat absorbed from the sun’s rays. Darker fabrics absorb light so they reduce glare and allow for better views. Consumers also have the option of purchasing special performance fabrics that have an aluminum finish on the side facing outward. 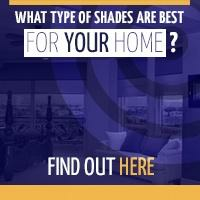 These are more energy efficient than traditional fabrics and diffuse light, which eliminates glare. Exterior window coverings provide similar benefits with the ability to provide shade while blocking up to 98% of the solar heat rays capable of decreasing a home’s energy efficiency. Retractable shades offer convenient hands free operation via remote control. Wind and sun sensors allow users to set a desired threshold. When the threshold is met, shades will automatically open or close. Call 702-260-6110 or 877-260-6110 today to speak to the window coverings experts at Polar Shades and learn more about our products.